Andy was born and raised in Northern California. From the age of 11 he knew that he wanted to become a Navy SEAL, and it became the single driving force in his life. He enlisted in the Navy while still a Junior in high school, entering military service in 1996. After completing boot camp he began the most grueling training program in the US Military - Basic Underwater Demolition/SEAL, known as BUD/s. Nearly 90% of all candidates are unsuccessful completing the six month program. Andy graduated and began his SEAL career attached to SEAL Team Five, in Coronado California. In 2002 he screened for and joined the most elite counterterrorism unit in the military, SEAL Team Six. This unit is tasked with conducting the nation's most critical missions, many of which have become the focus of Hollywood movies and books. While on a combat deployment an Iraqi insurgent shot Andy at close range with an AK-47. Doctors told him it would be years, if ever, before he recovered the use of his leg and returned to full active duty. In 2006, Andy returned to the Naval Special Warfare Center as the Leading Petty Officer for 2nd Phase BUD/s training. While completing his two year instructor tour, in charge of 13 senior SEAL instructors and 600 students, Andy submitted his package to become a commissioned officer. In 2008, he became the first E-6 selection commissioned through the Limited Duty Officer Program in the history of Naval Special Warfare. Upon commissioning, he joined SEAL Team Three and completed his final combat tour to Afghanistan. Throughout his 17-year career, Andy executed hundreds of combat operations throughout the world in support of the Global War on Terror. He was medically retired in June of 2013. His awards and decorations include 5 Bronze Star Medals (Four with Valor), the Purple Heart, the Joint Service Commendation Medal, The Navy and Marine Corp Commendation Medal with Valor, Three Navy and Marine Corp Achievement Medals, Two Combat Action Ribbons, and the presidential Unit Citation. Although no longer wearing a uniform, Andy continues to fight for the SEAL community, and their families. 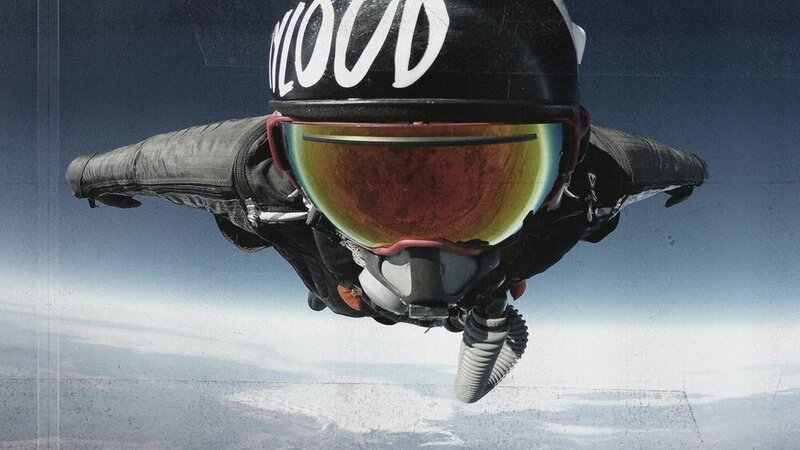 In 2015 he set two World Records after jumping from 36,500 feet and flying over 18 miles in a wingsuit in an effort to raise 1 Million Dollars for the Navy SEAL Foundation. Andy is a sponsored skydiver and BASE jumper, constantly traveling the world creating content for his sponsors. His business experience includes managing corporate development and licensing, as well as Charitable Initiatives for a global fitness brand, focusing on strategic relationships and sponsorship opportunities with Fortune 500 Brands. In addition to his management experience, Andy became the company pilot, accruing 3500 hours of flight time, earning his Airline Transportation Pilot's license, as well as type certifications in Gulfstream G-IV and Citation 525 series aircraft. In 2016 Andy was selected to star in the hit television show Hunted, currently airing on CBS. He was also featured in the History Channel series "Navy Seals, America's Secret Warriors", a dedicated segment on Red Bull TV - Ultimate Rush series "Human Dart", and a global commercial campaign for Tempur Pedic. fter entering the private sector, Andy founded a consulting firm dedicated to ensuring that the lessons learned from over a decade of sustained combat are retained, refined, and utilized by leaders in the business world.